We just found Wadsworth Christmas Tree Farm the old fashioned way. We Googled it. The few other times that we’ve been in town for Christmas in this house, we’ve avoided the Christmas tree hustle. We certainly didn’t want a plastic thing that lived in the attic for 48 weeks of the year. We did buy a real tree once, and we loved it. The smell was great, and the pets seemed to appreciate the import of outdoors into the house. 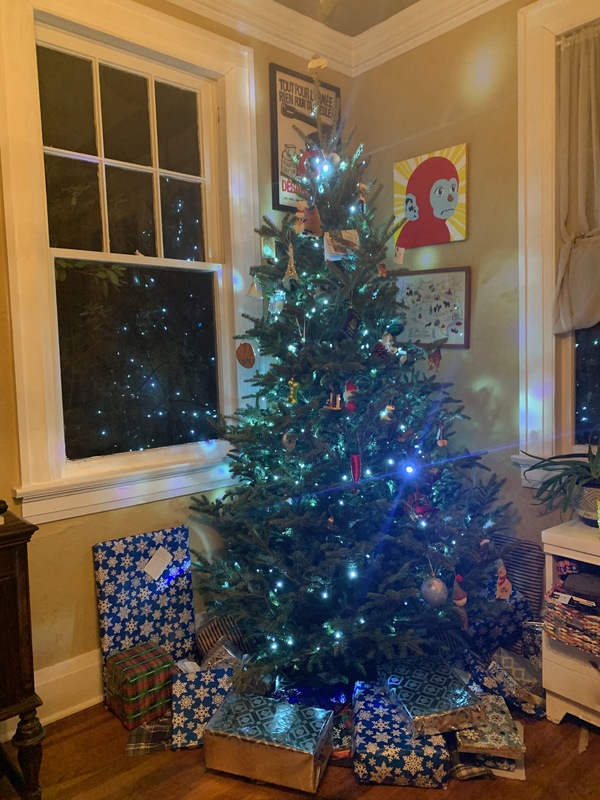 We enjoyed seeing the warm glow of lights, watching it slowly dry out, the iconic photos made possible by piling carefully-wrapped gifts under it. That tree was acquired from one of the pop-up operations that seem to set up tents around town. We didn’t really know what we were doing, but it worked out fine. This year, we decided to plan it out. 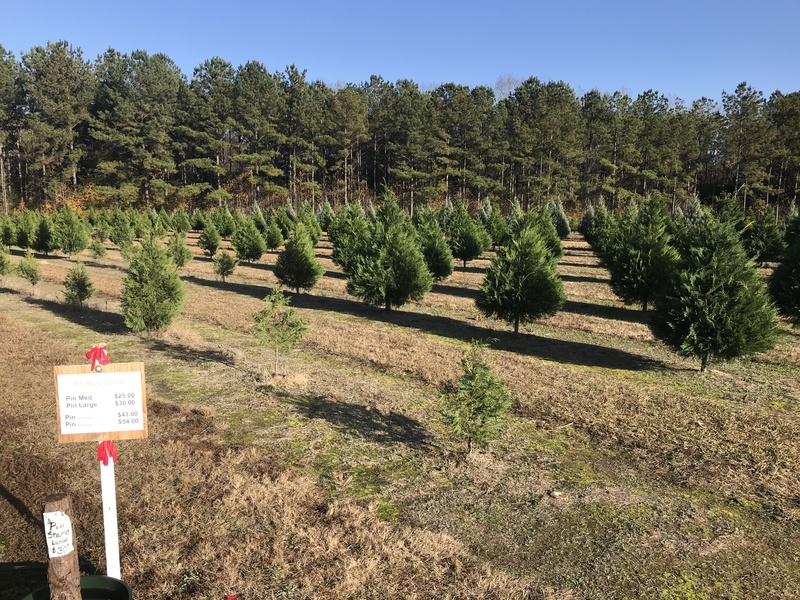 The Internet led us to the rural area outside of Wetumpka, and we wandered amid very large fields full of a couple of different kinds of planted trees. 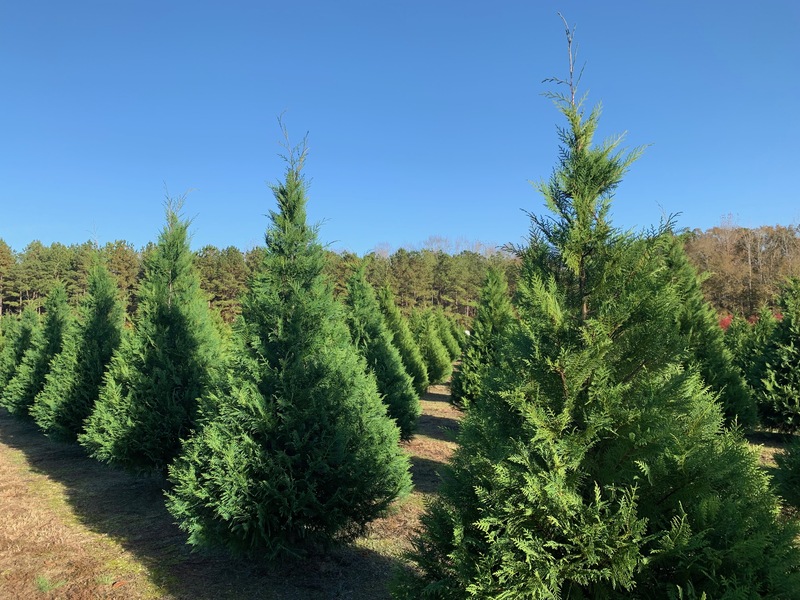 These came in all sizes, but you can’t buy the baby trees – those are for later years. Available trees are marked with ribbons indicating prices. The staff was incredibly helpful, explaining how to get a wagon, select a handsaw, and how the payment systems worked. 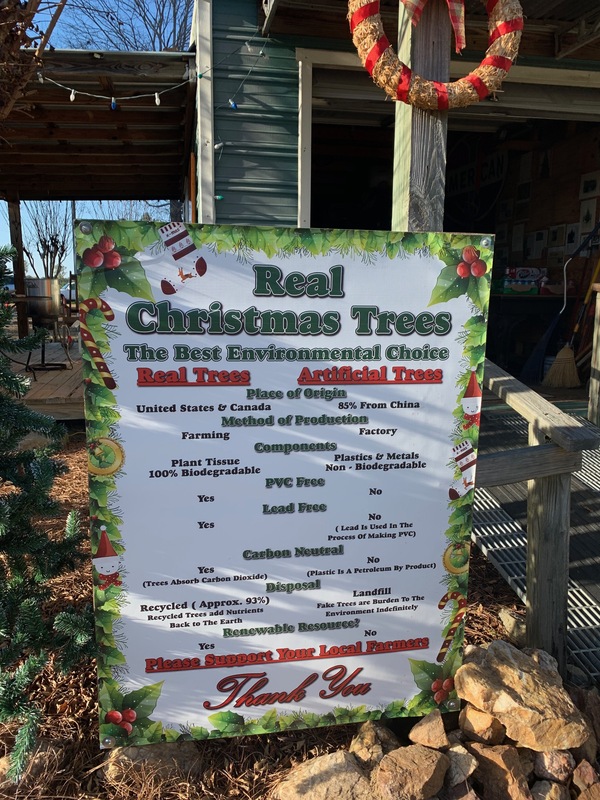 The trees are sorted and priced, and ribbons tied to each tree told you what you were buying. They seemed to be grouped by size and overall aesthetic attractiveness. A few were patchy, but most were really great. Overall, there was still a very good selection available on December 2. 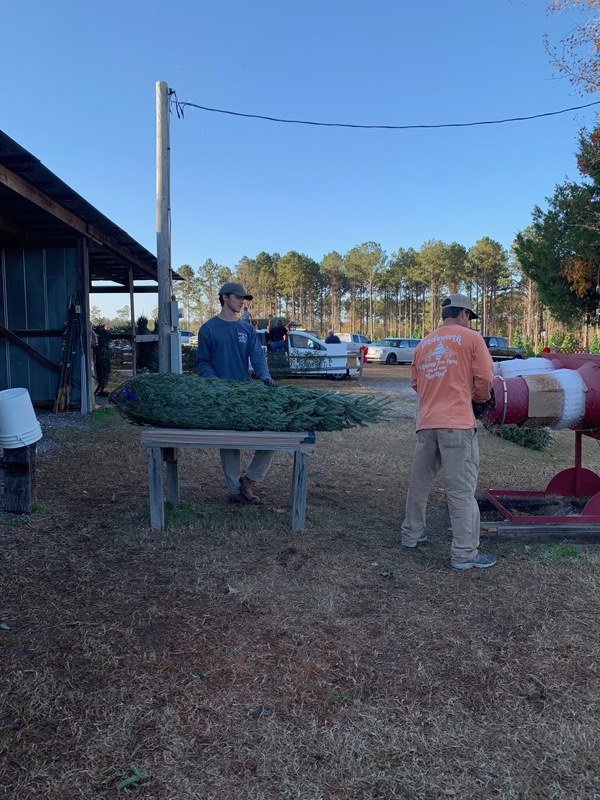 The guys wrapping nets around the trees said that the weekend right after Thanksgiving was really the most frenzied time, but they expected to be busy up till Christmas. We were pleased with the options available, but ultimately decided not to harvest our own. We went with a Douglas Fir that had been pre-cut and imported to the site. It’s too hot here for them to grow properly, so we probably didn’t make the most environmental choice by selecting an out of state model. Still, we were kind of nostalgic about our image of the ideal tree. 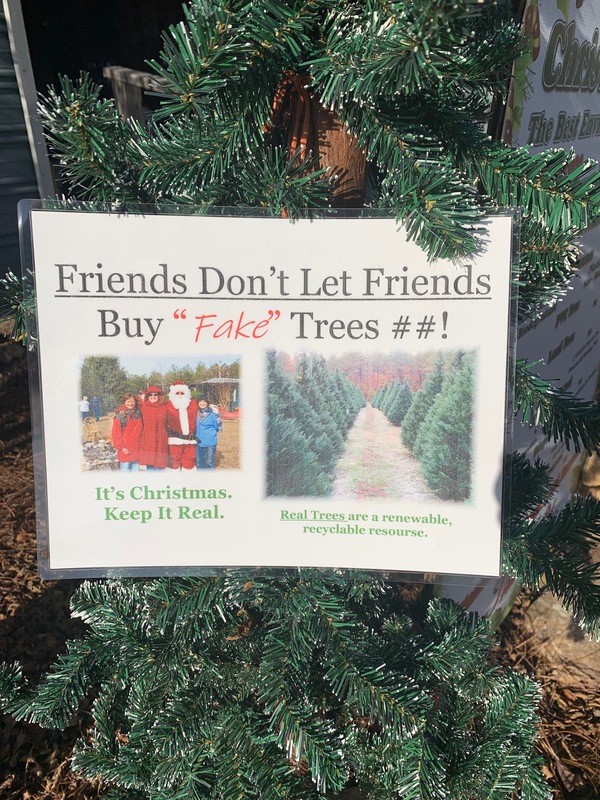 The customer service at the tree farm is exceptional. 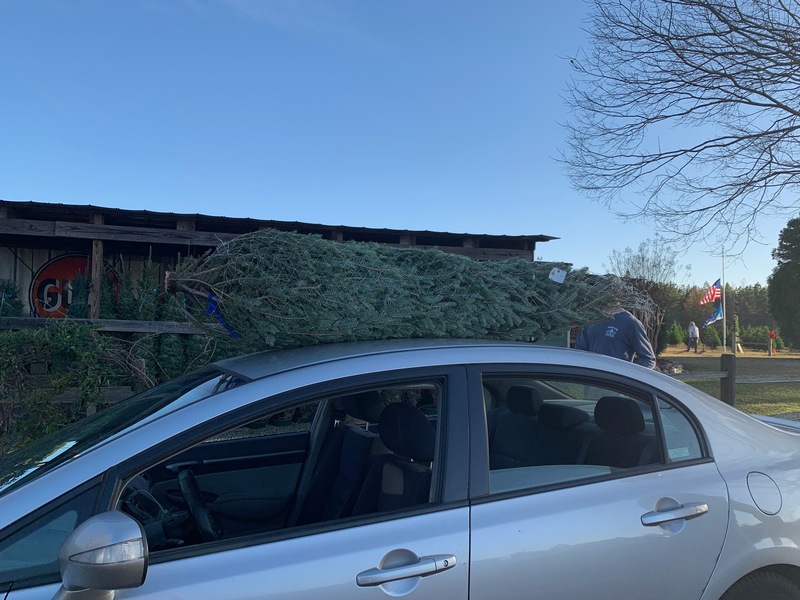 The guys were helpful in taking our netted tree and tying it to the top of our car. They drilled a hole in the base to accommodate our spiked stand, and even made a fresh cut at the base. We had a lot of fun figuring out where to put it and which inherited family ornaments merited a bit of real estate on our shared bit of temporary furniture. The end result is a magnificent addition to our home that smells great. We’re hoping to keep it fresh until Christmas. Now, if only we can keep the cats from knocking it over, we’ll have a lovely holiday tree for weeks to come.